Below are Wed 13th June 2018 Lotto results and prize breakdown for lotto draw 2345. The lottery jackpot for Wednesday 13 June 2018 was a huge £10,785,901. The ball machine used for this Wednesday’s draw was Arthur with Ball set 6. No jackpot winners in this Wednesday’s lottery draw but congratulations to the owners of the 3 winning tickets that matched 5 main numbers plus bonus ball to win £15,364 each. A huge 98 players managed to match 5 numbers in this draw to each win a prize of £495. Well done to all other lottery winners in this Wednesday’s draw and good luck to all players in this coming Saturday’s lottery draw. Below is the lottery prize breakdown of this Wednesday’s Lotto results. Don’t forget that if you have matched just 2 lotto numbers, you get 1 FREE Lucky Dip. 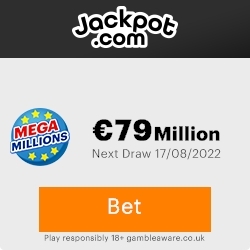 In this draw 720,793 players won a Free lucky dip. Below are the 21 winning lotto raffle numbers for UK lottery draw 2345 drawn on Wednesday 13 June 2018. Congratulations to this Wednesday’s £1 Million raffle winner and the 20 lotto raffle winners who are now all £20,000 richer. Remember, you have to be in it to win it..
Why not try your luck with a lottery syndicate instead for even more chances of winning the lottery or try your hand with the new scratch & win games from Jackpot.com. 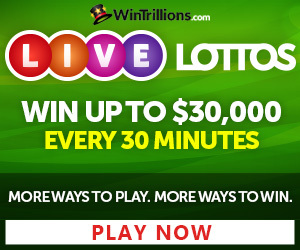 Want to play Worldwide Lotteries Online? 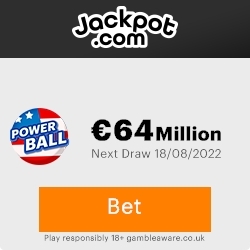 Check out these Worldwide lotteries and new instant lotto games at Lotto247.com or get upto 10 FREE lotto entries when you sign up at PlayHugeLottos.com. Thanks for checking the recent lottery results at UK Lotto Numbers. Please take the time to check out some of the great lottery deals which our site sponsors are offering. Including fantastic Sign Up Bonuses, the benefits of joining an online Lottery Syndicate or, the chance to play Worldwide Millionaire Raffles online. UKLottoNumbers is an independent lottery results service and operations of this website have not been approved or endorsed by The National Lottery, MUSL, or Camelot Plc, nor any company that manages any product for which their services are employed.